Alex and I love to travel. Whether we're talking about a major vacation almost half way around the world or a little weekend getaway to a nearby city, I'm always looking forward to our next adventure. As much as we love our ability to jump on a plane and head out of town to a new location, we aren't quite as free and clear as most DINKs tend to be. Though we don't have human children that require babysitters, our furry four legged babies are of the utmost importance to us and we couldn't possibly relax without knowing they are being well cared for by a loving network of friends. And our latest trip to New Orleans was no exception in our need for animal child care. While we're on a trip, we talk and think about Mel and Lulu often -- how they're doing, if they're happy, what trouble they might be getting into, if they're on a "my-parents-left-me-hunger-strike," etc. The other thing we consider carefully is how to truly express your gratitude to those who care for your treasured pets. Sure a dinner on us or a good bottle of wine can be nice, but from time to time, depending on the caretaker and our destination of choice, we might pick up a little something that represents the local flavor of the city we've visited. We always try to theme it in some way that represents where we've been, and we also try to make sure we're getting something that the sitters tend to enjoy. 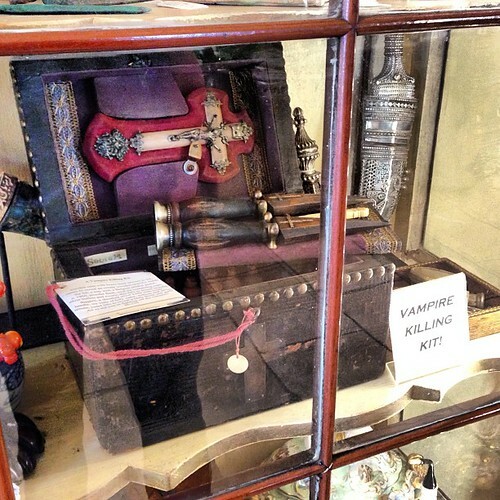 And though I would have loved to bring back this antique vampire killing kit, the $6,000 they wanted for it was a bit outside of my price range. It's no secret that New Orleans is known for its vibrant cultural traditions and regional flair. From food and drink, to parties and, well, parties, there's never a shortage of excess. 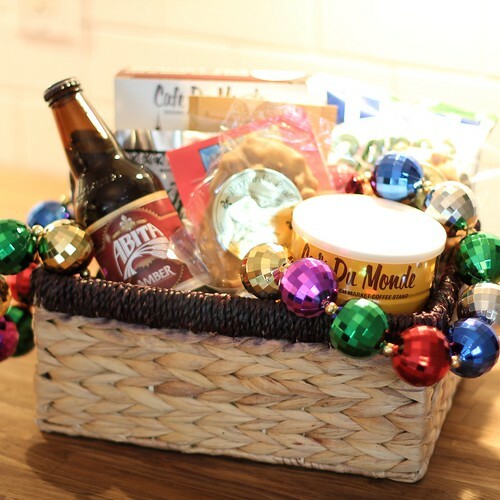 For the purpose of this blog post, these great things translate quite easily into the possibility of a festive and fun gift basket to express our gratitude. For the gift basket that we put together, I wanted to be sure to include many of our personal favorites that make New Orleans a fun place to visit. 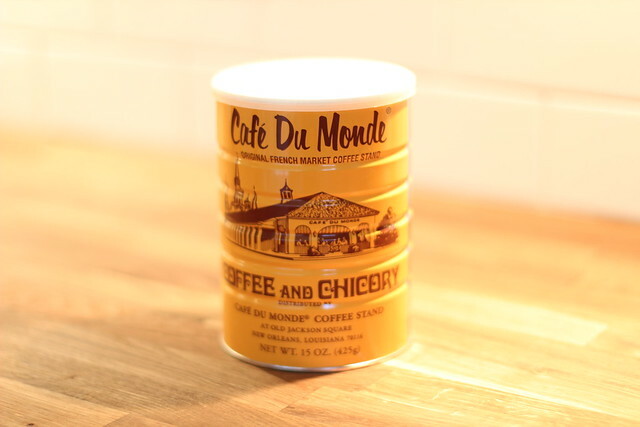 We started off with a can of Cafe Du Monde's world famous Coffee and Chicory. As a large can, I was able to use this to anchor the overall gift basket. 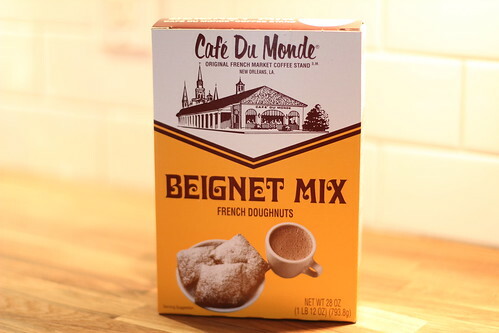 Next, I included a box of Cafe Du Monde's world famous (yes, it really is) beignet mix. A perfect complement to the first item, it would be a shame not to have this mix paired with the coffee. If you've never had a beignet, think of a little pillow of fried heaven covered with a thick layer of powdered sugar. 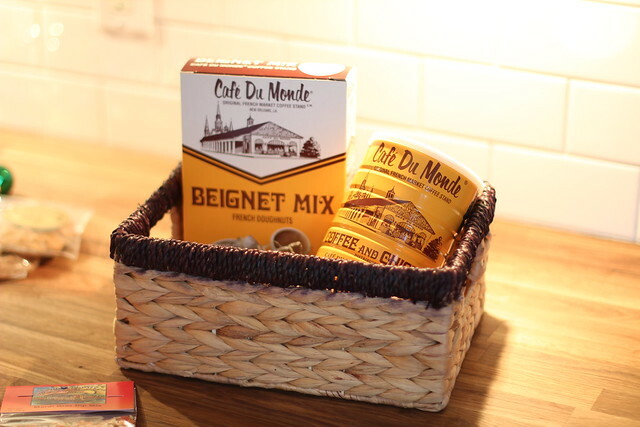 With the primary portions of the basket defined, I started thinking about other items that pop into my mind when I think of The Big Easy. One of the first things that I always think about is Pat O'Brien's Hurricanes. 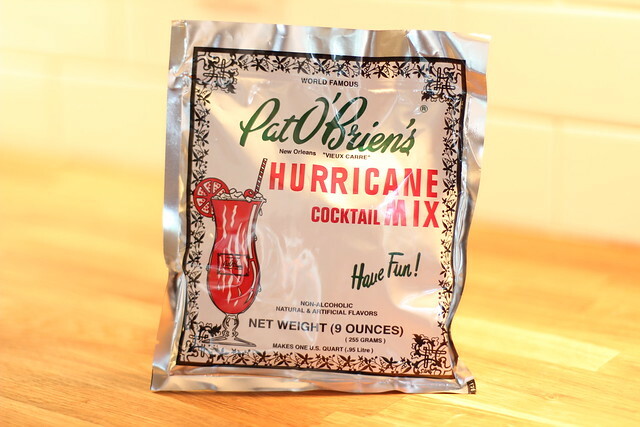 A potent and sugary blend of alcohol and flavoring guaranteed to turn your lips red and your vision blurry, the mix they sell is another great addition to the basket. Another sweet New Orleans treat (this one without alcohol) that goes hand in hand with the rich southern traditions of the area is the famous praline. These cookie-like confections are nothing more than sugar syrup and nuts, but they are oh so delicious. Since we already had several large items in the basket, I removed them from their box and arranged them as filler around the other items in the basket. 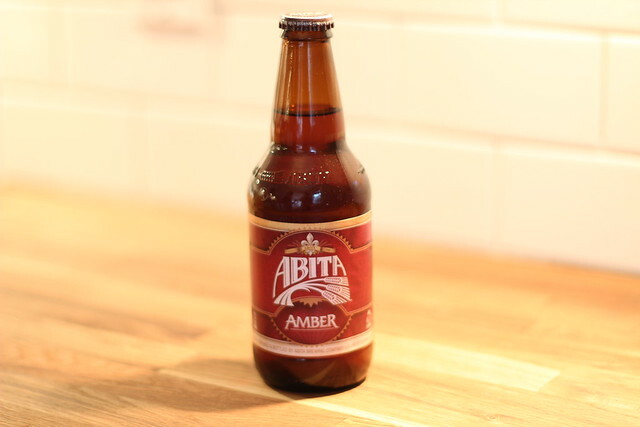 When you talk to someone from New Orleans, or anyone who has spent any significant time in New Orleans, there's a good chance they developed a taste for a Louisiana beer called Abita. Alex and I both like this brew quite a bit, so I figured we might as well include a bottle in the gift basket. 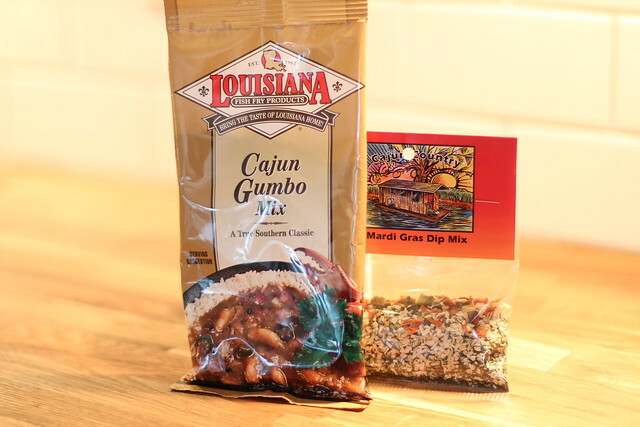 As I mentioned, the whole area is known for their food and drink, but nothing is quite as indicative in New Orleans cuisine as the use of their well known Cajun flavoring and spices in just about everything. These smaller packets are great items to include in the basket to add a little bit of flavor without adding too much heft. Another local favorite in the NOLA area is Zapp's New Orleans kettle style potato chips. 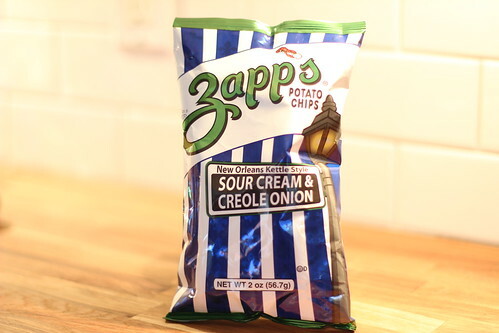 They have several flavors that have a very specific New Orleans flair, such as their Voodoo flavor (think Cajun sea salt and vinegar), or our favorite, Sour Cream & Creole Onion. Inclusion of this little item is was a must. 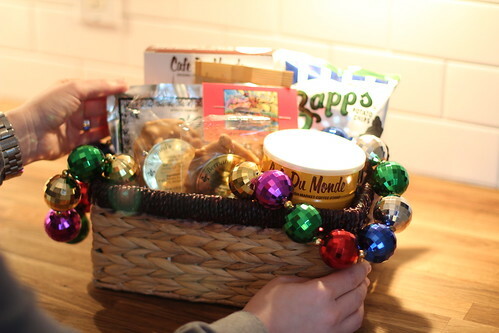 No New Orleans gift basket would be complete with a little bit of Mardi Gras sprinkled in by way of colorful beads. I won't tell you what Alex had to bare in order to be awarded a set of beads this impressive, but I can tell you one thing, it sure wasn't pretty. (I kid, I kid.) 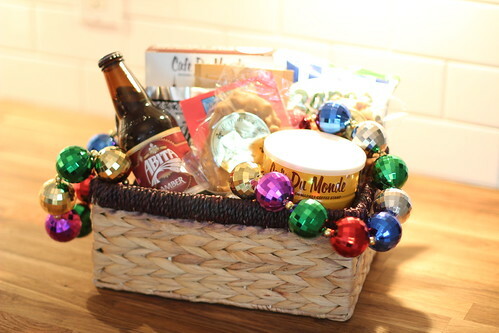 His sacrifice is my gift basket's gain, as I am able to garnish the finished basket with just the right amount of Mardi Gras flair. Assembly of the basket is pretty straight forward. The key is to layer the items in a haphazard way that makes the basket look like it's overflowing with fun. We're not looking for orderly stacking or organization here. We want to use the various height and heft of the items to weight the whole basket towards the back, but we also want to ensure everything in the basket is on display. No need to hide anything here, we want everything out in the open. Layering in the items is easy, as long as you place the larger items first in the back of the basket. Then you can set the smaller or more delicate items in place towards the front. After placement of everything and a final arrangement of the decorative beads, we have ourselves a finished basket. If desired, you can envelop the basket in clear cellophane (just like I did with my holiday treats), and top it all off with a beautiful bow. In this case a little thought and planning on our trip and a little arrangement in a nice basket at home allows us to show just how appreciative we are for our wonderful friends and their amazing job of caring for our little black Ori-Pei, Lulu. We know she can be a little high stress energy, and we want to make sure they know just how much it means to us that they gave her a wonderful place to stay and play, and ignored her ample dog hair and subtle aroma of Fritos. 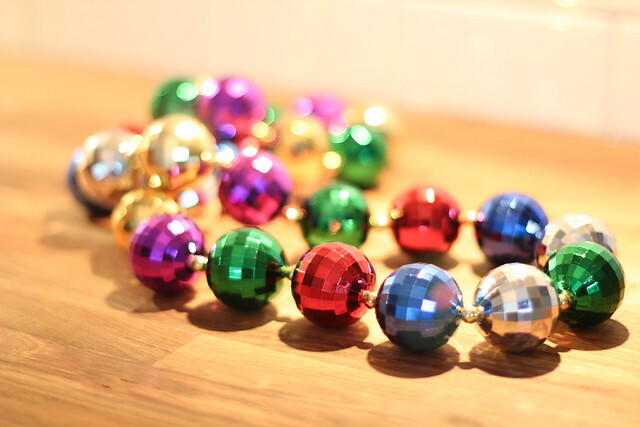 Do you have any gift giving traditions when you come back from vacation? Or maybe a special way that you like to say thank you to friends and family? You know I love to see other people's ideas, so please share. That is so sweet -- you have very awesome friends! Does Lulu go on a hunger strike too?! I thought my dog was the only one -- makes me feel so guilty living him and then I feel bad for my mom or whoever takes him because they worry that he's not eating. We have wonderful friends -- we're so lucky! Yes, Lulu tends to typically go on a hunger strike and always makes her sitters nervous. Miss Princess holds out for her sweet potato snacks and limited forms of vegetables. Dry food becomes her kryptonite! What a lovely way to say thanks! And NOLA is the perfect place from which to collect all sorts of delectable goodies. Love the beads, too! Last time I left Sadie with a friend (for two days and one night), she went on a hunger strike. My friend was so freaked out she ended up cooking and hand feeding her chicken. Drama Queen, I think she just knows how to work people! 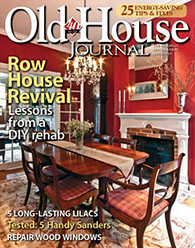 Nice write-up.Thanks Wendy for your sharing. I have found this article very informative.